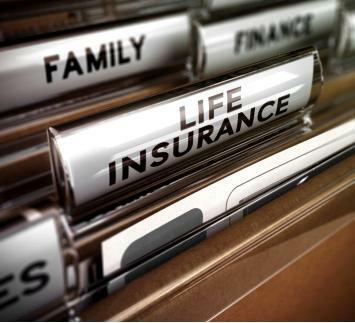 Most of the time, employees tend to overlook their life insurance plans, either because they don’t understand their purpose, or feel they’re too young to take advantage of these. In order to help them understand the benefits designed for them, and to help you create the right insurance policies in your organization, you need to educate your employees regarding the aspects of a life insurance option. The ideal path to follow would be to look at each generation in your organization, and decide on life insurance policies according to them. Here are some trends that can guide you in getting the benefits services you need. The millennials in your organization population are most likely working on paying off their student loans, fulfilling down payments for a new house, and may be even starting a family. That being said, while this generation of employees may be least interested in opting for life insurance, they do understand the nuances of long-term planning. Focus on newer ways to communicate the choices and benefits of life insurance with millennial employees. An effective approach would be to go digital, using social media to deliver information, and using short, simpler mediums to work out the life insurance process. Generation X, or Gen Xers, is typically short on their life insurance terms. According to MetLife’s study of Gen Xers, over three-quarters of this group has life insurance coverage, but the gap between their financial needs and the insurance coverage is generally high. The Gen Xers of your organization are most likely not aware of the advantages of life insurance. Part of your education for them should encompass informing them of how a life insurance can protect their assets and income in the future. Policy calculators and other similar tools can help them understand their coverage. Additionally, it can help you better understand what people require from your employee benefits program so that you can work with your HR consultants to design your life insurance policies. The essential purpose of life insurance in to provide financial support to the dependent of the insurance’s subject. However, due to increasing medical advancement and refined eldercare services, the conventional focus on life insurance has changed. Older employees need to ensure financial security in case of a setback in wages, or to help them cover care-giving costs in later life. Find health programs that encompass medical benefits for critical illnesses. Pennsylvania-based firm JS Benefits Group offers comprehensive services for employee wellness programs, which includes designing voluntary benefits of life insurance and related coverage. Commit to the use of modern technology to manage your life insurance plans. A firm with extensive experience in human resources can give you the tools you need when creating employee insurance benefits.